A leading player on the betting scene since 1886, Ladbrokes is now regarded as one of the top operators in the world thanks to its network of gambling options. 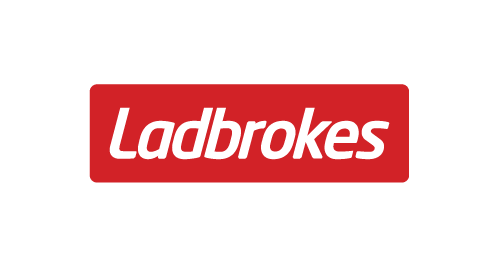 Through a combination of high street bookmakers and online gaming portals, Ladbrokes has become a global powerhouse with an annual turnover in excess of £130 million. Its years of experience in the industry, plethora of global contacts and bulging bankroll mean Ladbrokes is able to offer an online betting service that's second-to-none. In fact, one of the latest innovations to come out of the Ladbrokes' software stable is its Lotto portal, Ladbrokes Lotto. Designed to give you fixed-odds betting options on the world's best lotteries, it's as intriguing as it is lucrative. Instead of customers purchasing a lottery ticket from their local shop, Ladbrokes Lotto's lottery betting is a fixed-odds game that's played via your desktop or mobile. In simple terms, you're betting on the outcome of a lottery, rather than investing in it directly. For example, if you wanted to bet on three numbers, Ladbrokes Lotto would offer you odds on this outcome and ask you to make your selections. Why should you play Ladbrokes Lotto instead of your local lottery? The simple answer is that you don't. Because of the way the system is set-up, you can actually play Ladbrokes Lotto alongside a standard lottery and enjoy double the returns if you win. If you were to pit the two options against each other in a head-to-head battle, Ladbrokes Lotto would come out on top in terms of win frequency. As you can control more variables, you can tailor the situation to suit your needs. This means that you have a better chance of winning compared to a standard lottery where you have to follow a strict set of rules. Moreover, because the odds are fixed, it doesn't matter how many people buy tickets because Ladbrokes Lotto will always pay you based on the odds and your stake, up to a maximum of £250,000. Within Ladbrokes Lotto you'll be able to speculate on more than 35 draws each week. As the system is based online, it means you can bet on draws from around the world and not simply stick to the lottery offered in your own country. Additionally, to ensure you don't get bored in between draws, Ladbrokes Lotto also offers a selection of scratch cards and casino games, including roulette, blackjack and slots. Ladbrokes Lotto is the freshest product to the Ladbrokes arsenal which is presumably why it has yet to begin featuring Promotions. Fortunately, the Promotions section currently features a promotion test, indicating Ladbrokes is preparing to feature Promotions but simply testing the process first to ensure it works correctly. The anticipated new Promotions section is expected to feature a wealth of generous bonuses like all other Ladbrokes products. If you win any prize with Ladbrokes Lotto, including the £250,000 jackpot, you won't have to wait for it to be verified by the lottery commission. Once the funds have been pushed into your account, you'll be able to withdraw them using one of the following methods: Visa, MasterCard, Delta, Solo/Switch, Western Union, Neteller, Skrill and PayPal. Each withdrawal method has a different processing time, but the average wait will be between one and five days. Additionally, Ladbrokes Lotto won't charge you anything to use its withdrawal service, though cheques do carry a £20 charge. However, your chosen method may have certain fees associated with it. In comparison to other Lotto betting sites, Ladbrokes Lotto stacks up incredibly well. Being an industry pioneer, Ladbrokes knows that you have to match your peers in order to survive. For example, a £1 stake and three matches on the Irish Lotto will return you £650, which is just a shade under the odds offered by the market leader Betfred Lotto (675/1). Essentially, the odds you'll find from Ladbrokes Lotto will match those offered by the best in the business. One area the site could work on, though, is its promotions. Being a relatively new part of its network, Ladbrokes Lotto has yet to fully form its promo section. In the coming months this will certainly be an area of the site to keep an eye on.